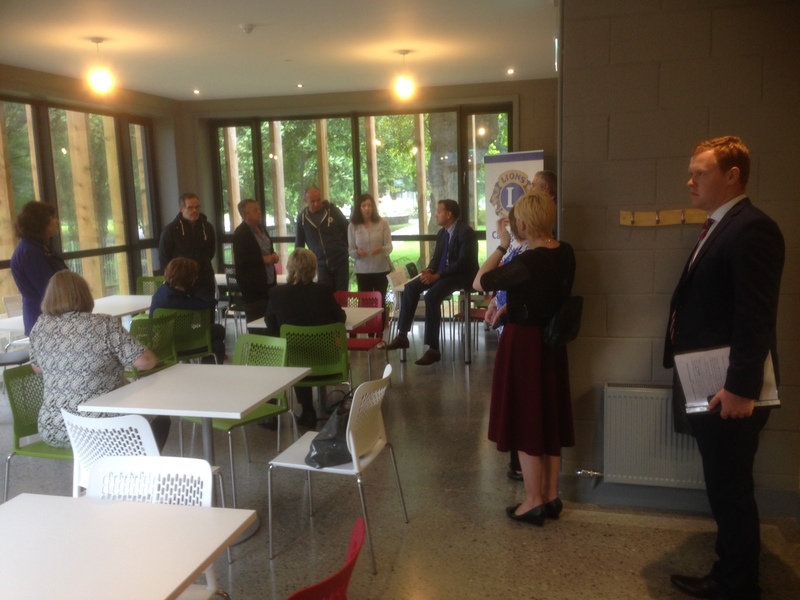 Minister for Social Protection, Leo Vradkaar, visited the Carrigaline Lions Youth Centre today to meet with members of Local Youth Employment Schemes. The minister was welcomed by Lions Club President Roy Jolly. The Minister for Defence ; Marine ; Food & Agriculture, Simon Coveney, TD, pictured with a Guard of Honour from the Irish Navy, before he performed the Official Opening of the Carrigaline Lions Club Youth Centre. 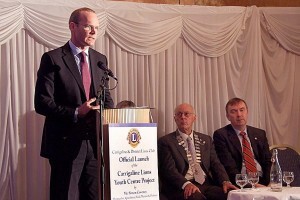 On Friday the 18th September, Minister Simon Coveney TD formally opened the new Carrigaline Lions Youth Centre. The opening was attended by over 200 guests including representatives from local organisations, schools and churches as well as local councilors and TDs. This new 6,000 sq. 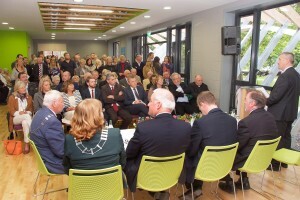 foot landmark building was commissioned by the Carrigaline and District Lions Club and includes a youth cafe, activity room and IT room as well as offices and meeting spaces. The landmark building was designed by Kieran J. Barry & Associates, Carrigaline and the main contractor was Vision Construction. 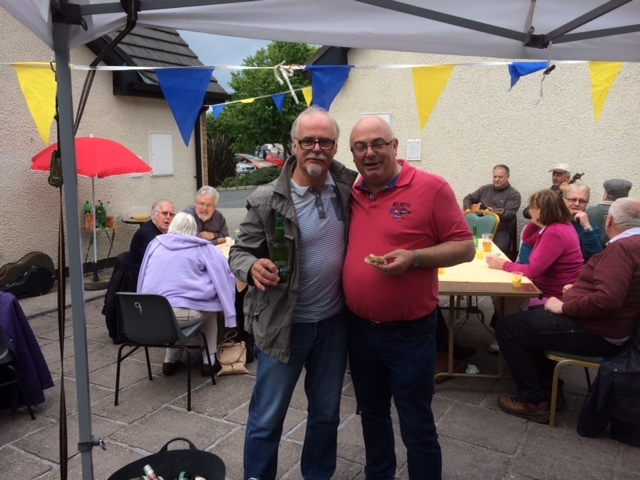 SECAD have put €500,000 into this project in grant assistance for which we are very grateful and without which the project could not have happened. 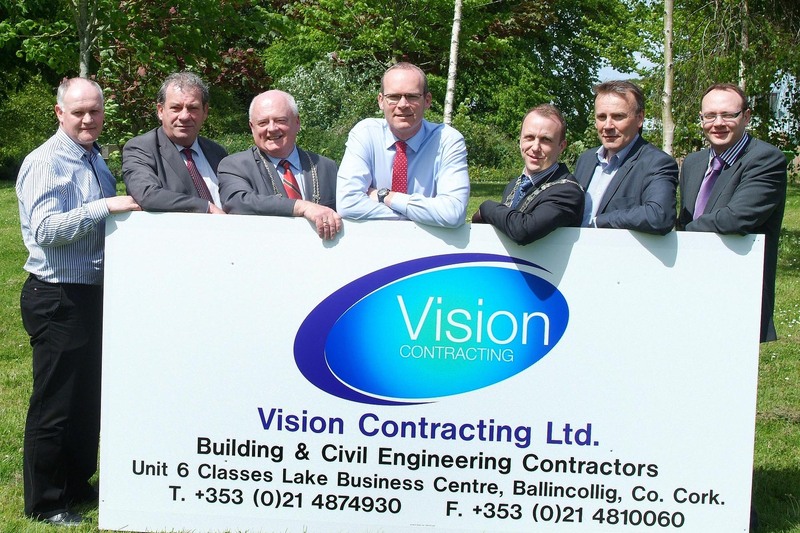 A further €290,000 in term loans was provided by Clann Credo and they also facilitated us with bridging finance during the construction phase. 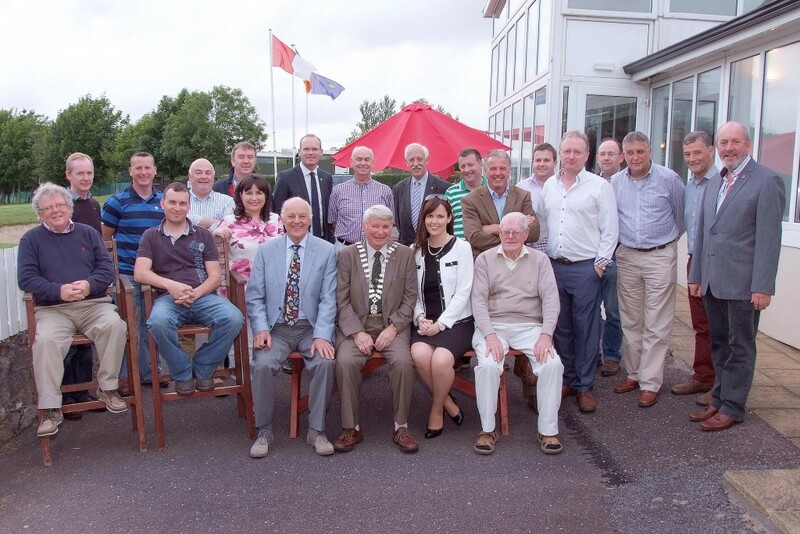 Cork County Council through its Community Grants Programme and the Area Engineers Office including the Area Engineer Madeleine Healy and her staff. We are very grateful to all of these and to the many other companies and individuals who gave freely of their time and went above and beyond the norm to ensure that the project was a success. A section of the large attendance at the Official Opening of the Carrigaline Lions Youth Centre. Fr. 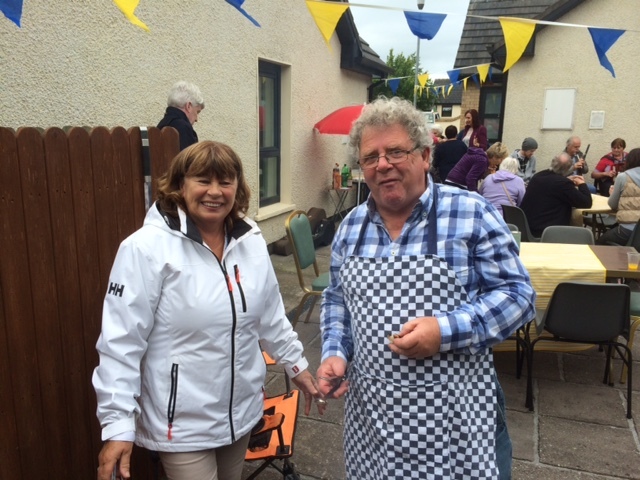 Pat Fogarty and Rev. 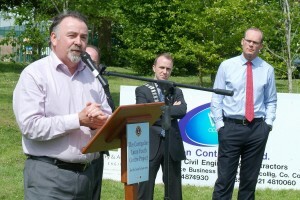 Tony Murphy, blessing the new Youth Centre at its Official Opening last week. Included are Ryan Howard, SECAD ; Deputy Mayor of County Cork, Cllr. 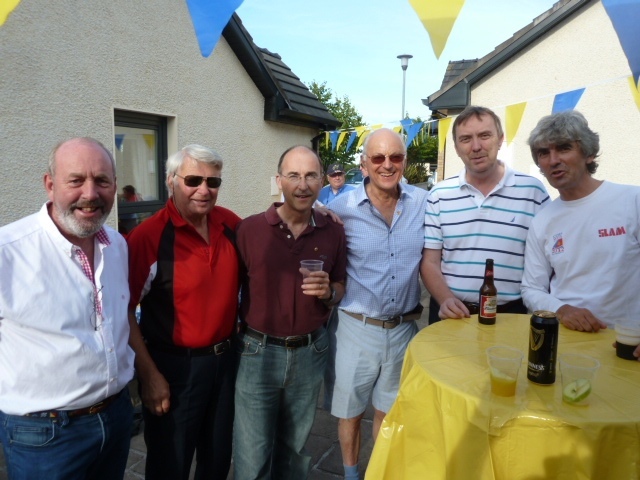 Seamus McGrath ; Declan O’Leary, Foróige ; The Minister for Agriculture, Fodd ; Marine & Defence, Simon Coveney, TD ; Marion Conneely, District Secretary, Lions Clubs of Ireland and Roy Jolly, President, Carrigaline & District Lions Club. 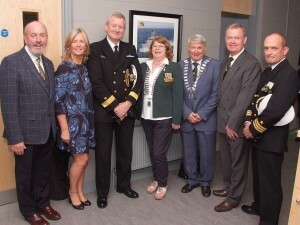 Pictured at the Official Opening of Carrigaline Lions Youth Centre, were from left, James & Cathy O’Sullivan ; Commander Hugh Tully ; Marion Conneely ; Roy Jolly ; Thomas Kelly and Commander Cormac Rynne. 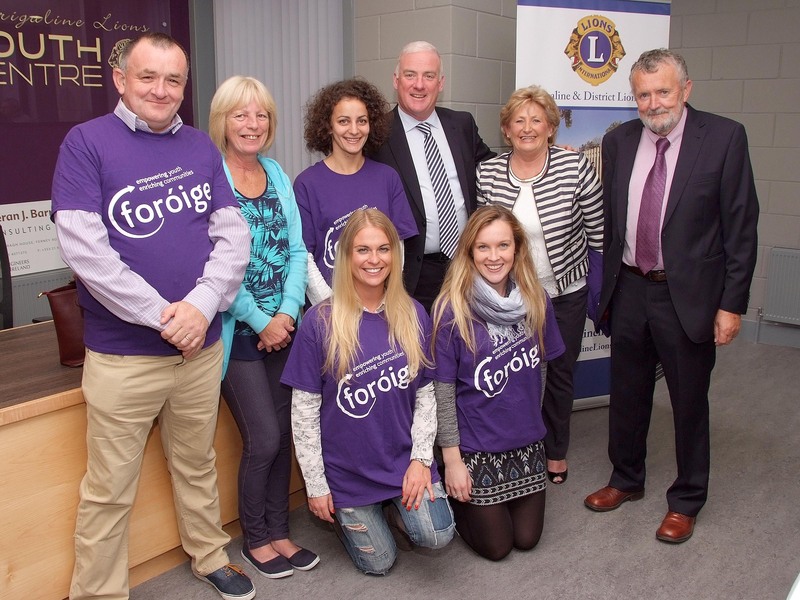 Members of Foróige pictured at the Official Opening of the Carrigaline Lions Youth Centre last week. 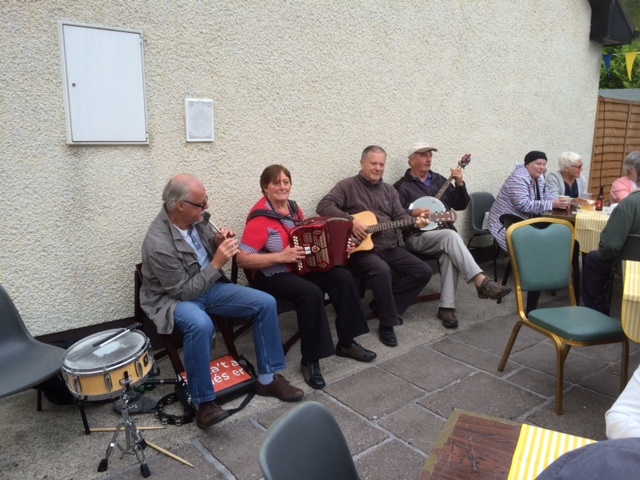 Included are Derek McGreevey ; Carol McCarthy ; Mihaela Giriveva ; Declan O’Leary ; Catherine Coleman ; Fiachra O’Callaghan ; Diane Doherty and Chloe Sheehan. 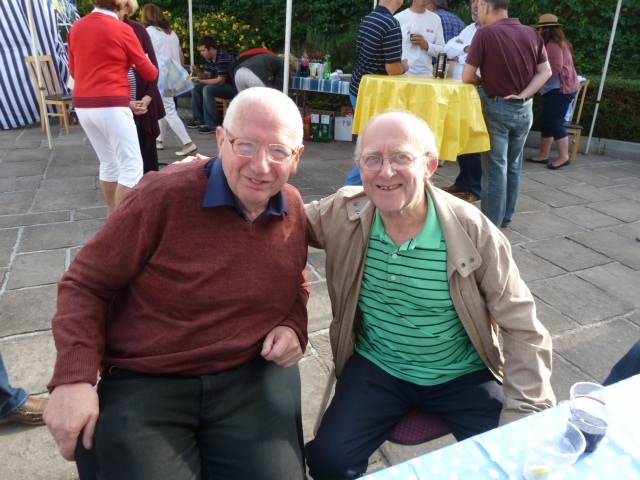 Carrigaline & District Lions Club held their annual handover meeting at Fernhill Golf Club on Thursday, 2nd July where outgoing president, Patrick Coughlan, handed over the chain of office to incoming president, Roy Jolly. 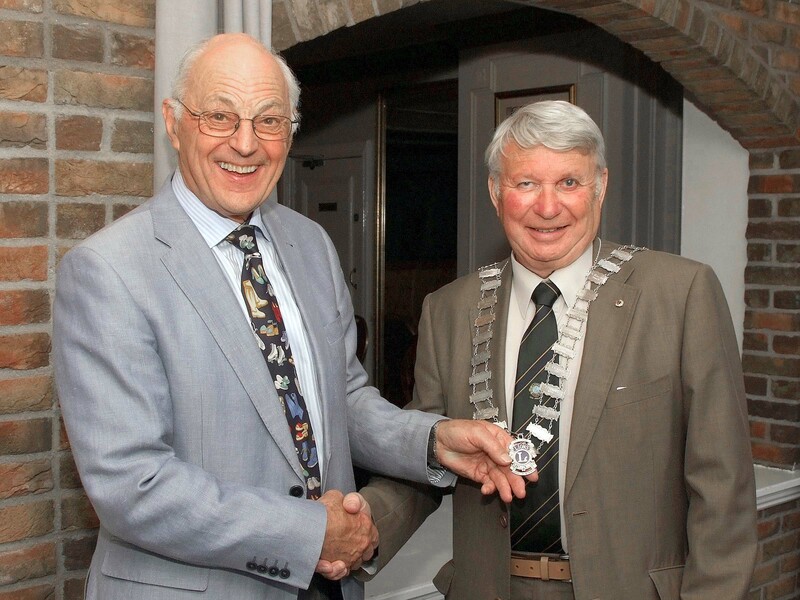 Patrick Coughlan, Immediate Past President, handing over the Presidential Chain of Office to the Incoming President of Carrigaline & District Lions Club, Roy Jolly. Members of the Carrigaline & District Lions Club at the handing over ceremony to Incoming President, Roy Jolly. 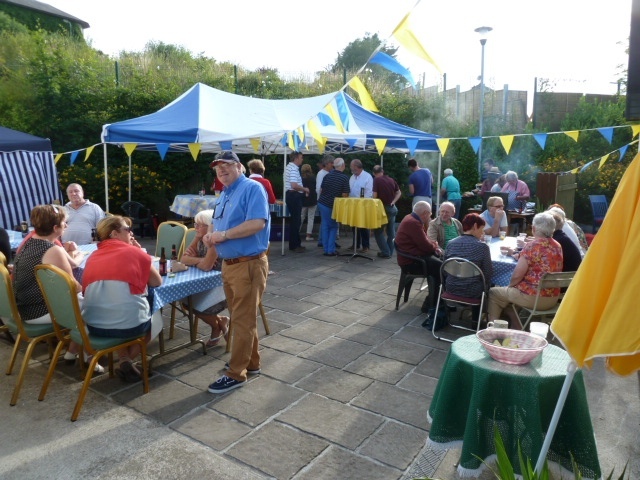 On behalf of the Members of Carrigaline and District Lions Club we wish to thank all those who have supported our Fund Raising activities so generously in the past year and we look forward to your ongoing support in 2015. 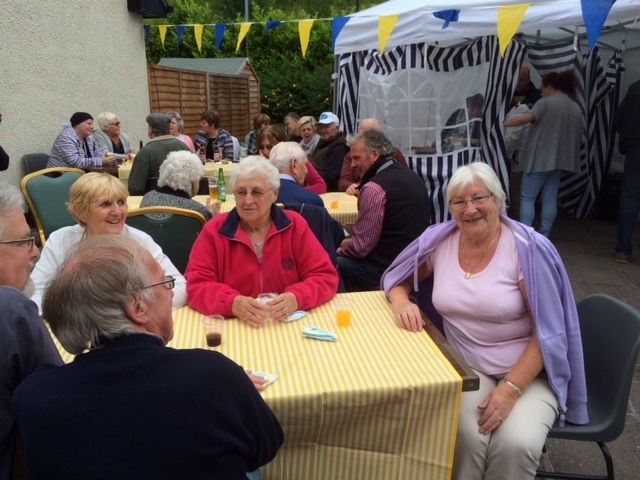 Fund Raising activities in 2014 included the Pink-a-Porter Fashion Show, Great Railway Run, Cycle Classic and our monthly Car Boot Sale as well as other smaller events. 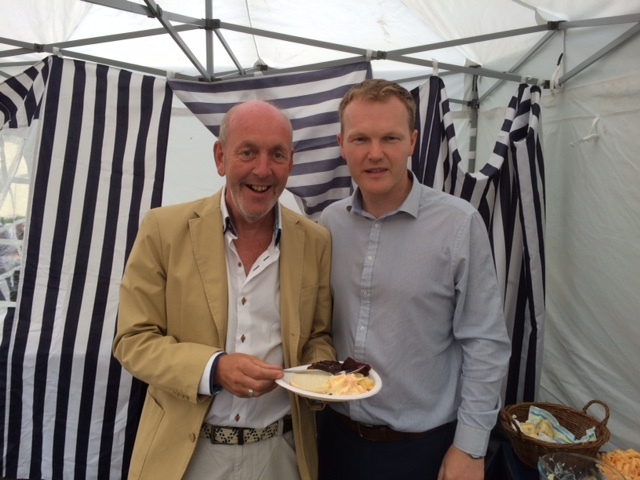 We look forward to the opening of our new Youth Centre Project early in 2015. 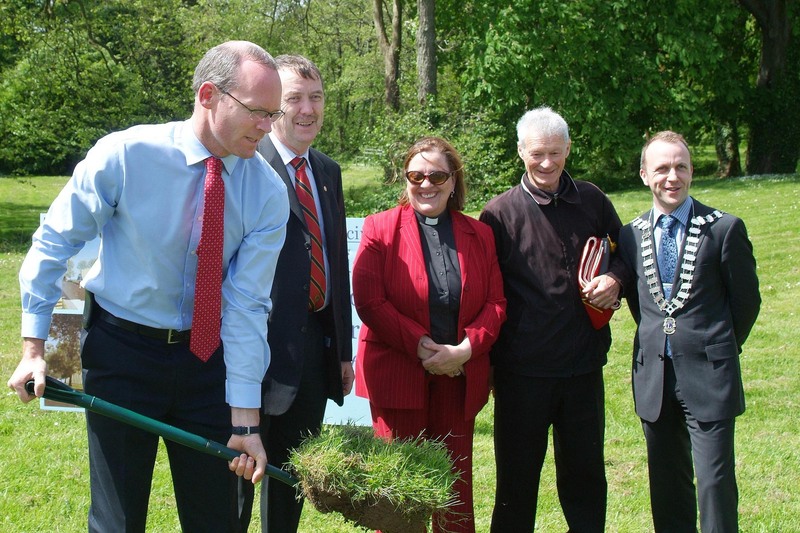 This will provide a major new facility for the young people of our town. Wishing you Peace, Good Health and Happiness over the festive Season and in the New Year. Carrigaline Lions Club recently organised an annual summer BBQ for residents of Carrig Iseal and Abbeyview. 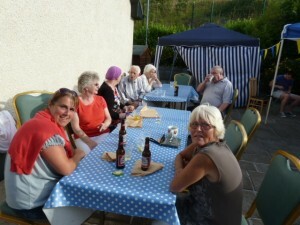 It was a glorious sunny evening, despite the threatened heavy showers. Thanks to all the Lions Club members and their partners who prepared a wonderful spread of food for the event. Carrigaline Lions Club has built 6 houses at Abbeyview, Lr. 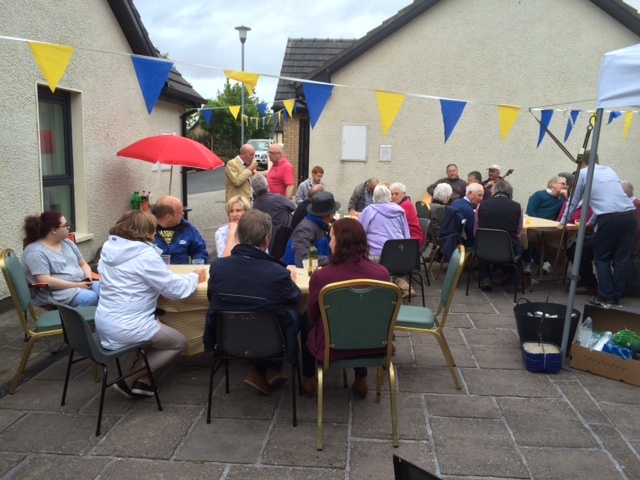 Kilmoney Rd and 10 houses at Carrig Iseal. 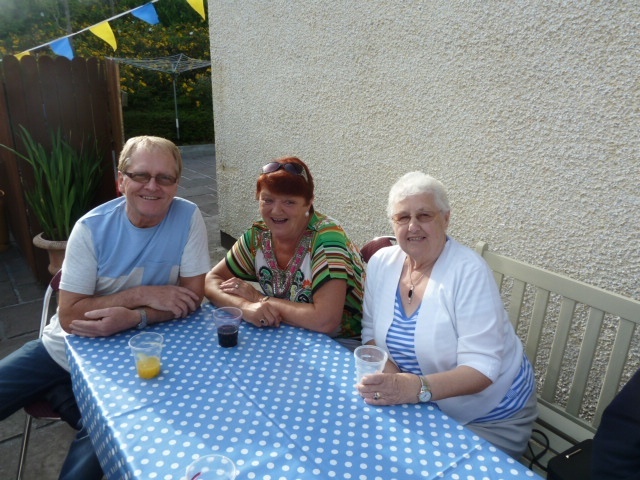 The aim of the houses is to provide accommodation for older members of the community who are not in a position to provide accommodation for themselves. 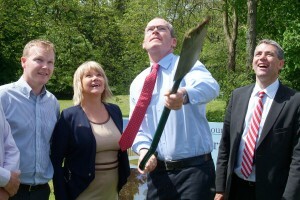 On Saturday 17th May, Minister for Agriculture, Food and the Marine, Simon Coveney T.D. was guest of honour at the launch ceremony of the new Carrigaline Youth Centre . Representatives from a large number of clubs and organisations in Carrigaline, particularly those involved in working with youth attended the ceremony will took place at the County Council office on Church Road. 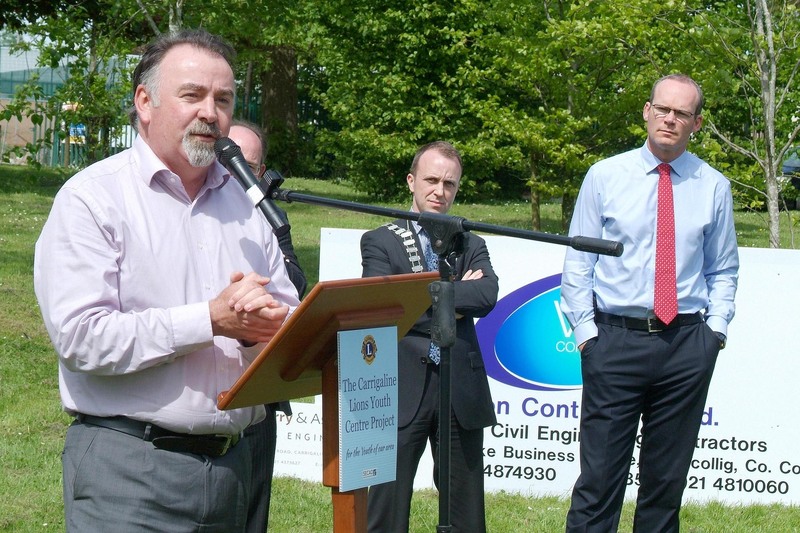 The Carrigaline Youth Centre will provide state of the art facilities for the young people of Carrigaline. 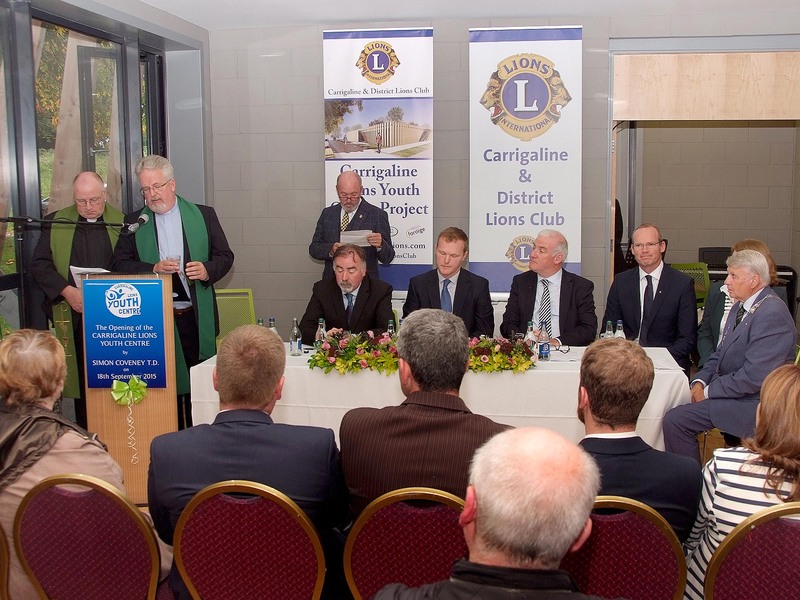 The project to build the Youth Centre was initiated and is being managed by the Carrigaline & District Lions Club. 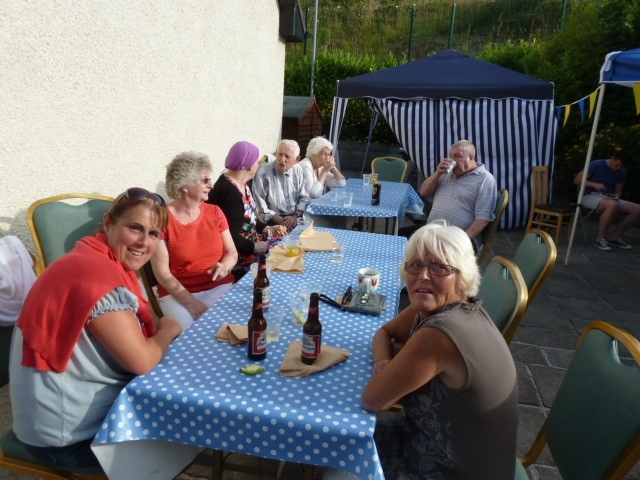 Over the past three years, members of the club have spent a great deal of time and effort in bringing the project to its current state. This included determining requirements, finding a site, getting funding, commissioning design proposals and obtaining planning permission. 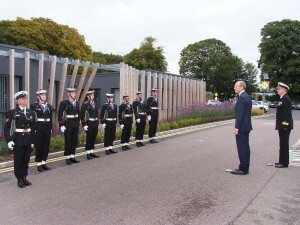 The project has already completed a public tendering process and it is hoped to start building in the coming weeks with completion in mid-2015. 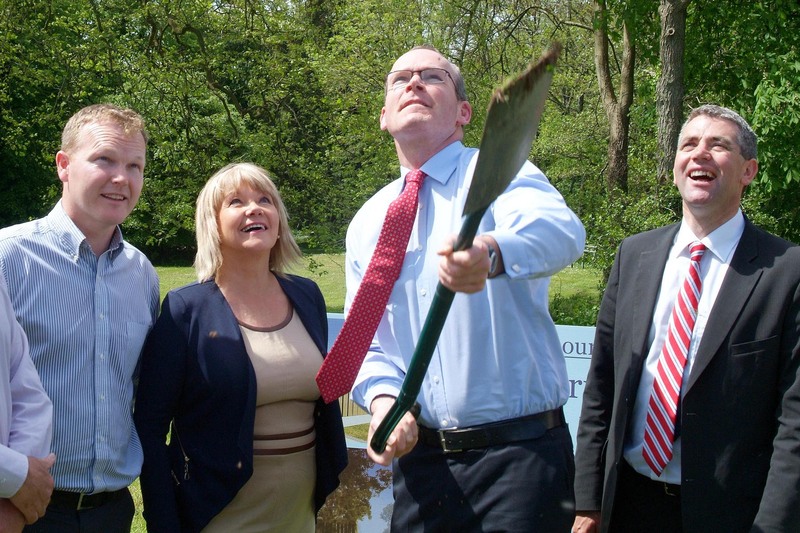 The development will consist of a new 6000 sq. ft. facility comprising of activity/meeting rooms, a lounge area, cafe and kitchen. 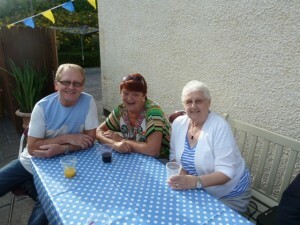 This will facilitate a wide range of activities including music and drama, information technology and a Youth Café. It will be built on a site beside the County Council office which is centrally located and close to the Community School and the Community Centre. 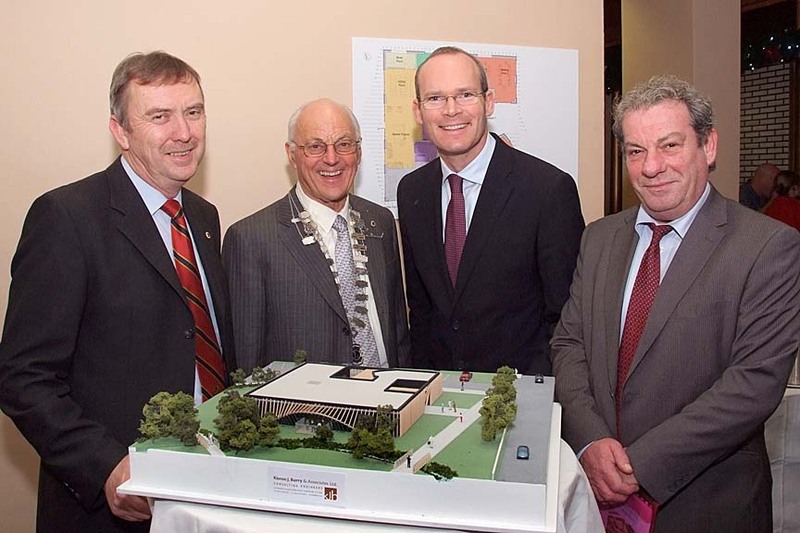 The centre will be operated on a day to day basis by personnel from Foróige and other qualified stakeholders. 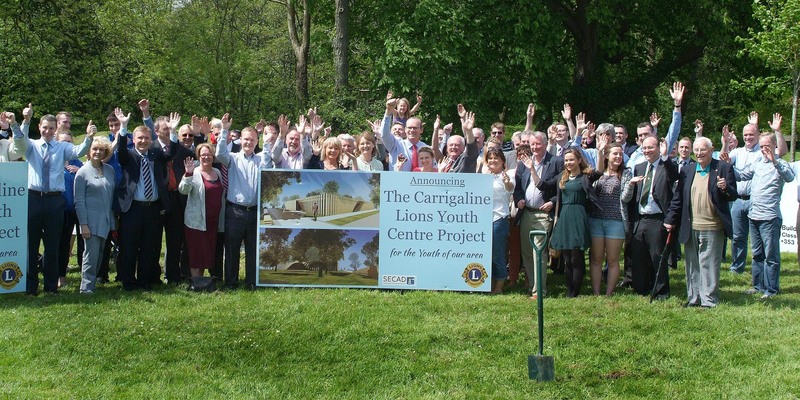 Carrigaline Lions Youth Project Ltd was supported by South and East Cork Area Development Ltd (SECAD) through the European Agricultural Fund for Rural Development and the National Development Plan. 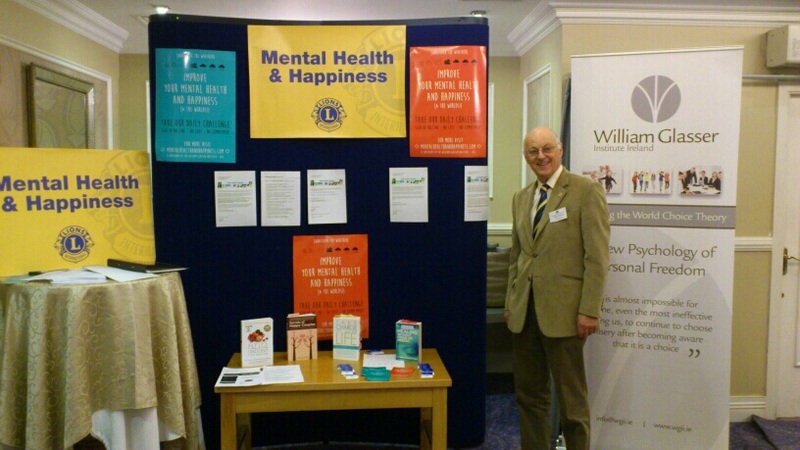 Carrigaline Lion, Patrick Coughlan is pictured at the annual Lions Convention promoting books on mental health and happiness. This year’s convention which is attended by representatives from all Lions Clubs on the island of Ireland, was held in Wexford. 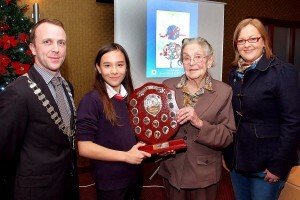 The local winner of this year’s Lions Peace Poster competition was Misake Parbrook from St. Mary’s Primary School in Carrigaline. Misake’s poster, shown in the background below, will now be entered in the National Peace Poster competition. Misake Parbrook pictured receiving the Tom Morgan Perpetual Trophy from Helen Morgan, for her winning entry in the Carrigaline Lions Club International Peace Poster Award. 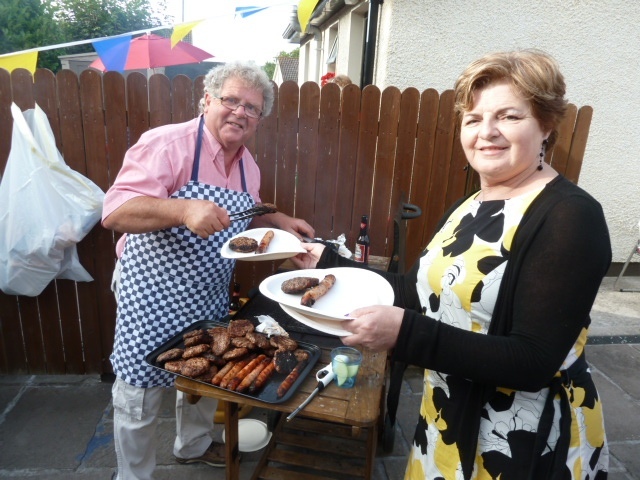 Included also is Brian Thoma, President, Carrigaline & District Lions Club and Valerie Elliffe, Principal, St. Marys NS, Carrigaline. Each year, Lions clubs around the world proudly sponsor the Lions International Peace Poster Contest in local schools and youth groups. This Contest encourages young people worldwide to artistically express their visions of peace. 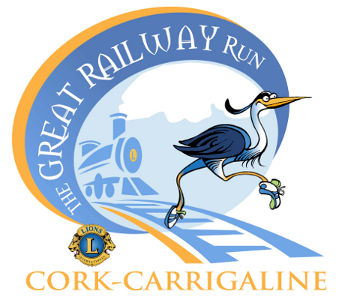 Students, ages 11, 12 or 13 on November 15, are eligible to participate. 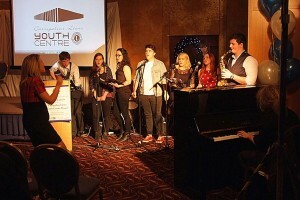 Each year’s contest consists of an original theme incorporating peace. Participants use a variety of mediums, including charcoal, crayon, pencil and paint, to express the theme. 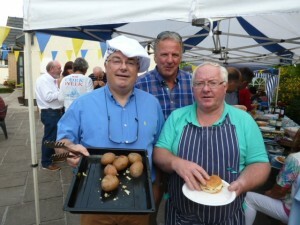 The works created are unique and express the young artists’ life experiences and culture.